Pining For Khal Drogo? Watch Jason Momoa In Netflix's 'Frontier' This January! The historical drama follows Declan Harp as he tries to breach the Hudson's Bay Company's monopoly in the fur trade. One of the many unnecessarily brutal deaths on Game of Thrones had been Khal Drogo's. The Dothraki warlord, however, made a permament place in our hearts with his barely-speaking, yet intense role. 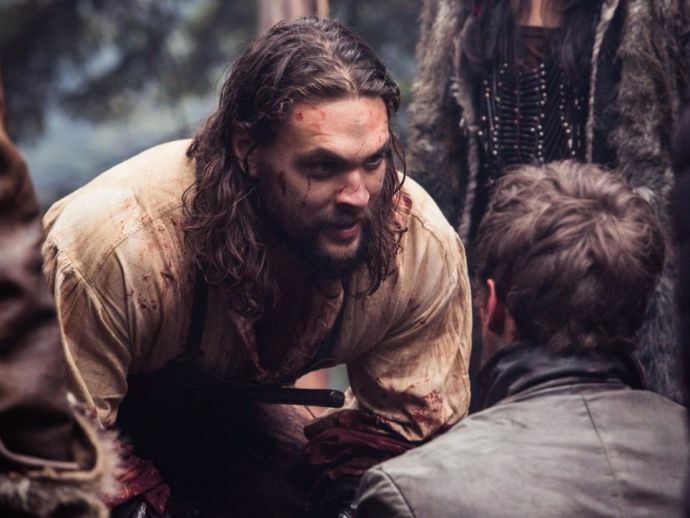 Jason Momoa, the impossibly beautiful human who played Drogo, returns to your laptop screens as Declan Harp, in the Discovery Canada show Frontier. The historical drama is a creation of Brad Peyton, best known for his disaster flick San Andreas (2015), along with Rob and Peter Blackie. Jason Momoa plays the part-Irish, part-native American Harp, who attempts to thwart the fur trade monopoly of the Hudson's Bay Company in 18th century Canada. The trailer is savage, bloody and intriguing, everything that the fur business was as well. While the series has already premiered on Discovery Canada in November last year, the international premiere of the first season will be on Netflix on January 20. Watch the trailer here, and consume the brilliance that is Jason Momoa even before Justice League releases!